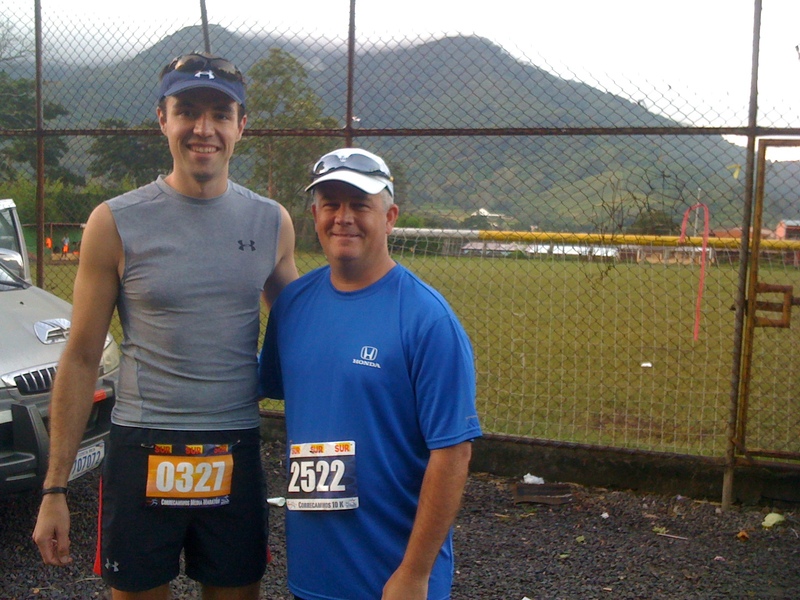 I ran my first Costa Rican half marathon over a year ago. Given my experience with large races in the US and knowing how things generally are in Costa Rica (tranquilo, pura vida), I managed my expectations. Although I finished without any problems, managed to get on my flight back to Chicago and had a pretty fun time, the race was, according to many other runners, a huge disaster. Since the event had been going on for fifteen years, I was pretty surprised at how chaotic the whole thing was. Information was inconsistent and tough to find, the start time was unknown even five minutes before the gun was supposed to go off, aid stations ran out of water and the course wasn’t well-marked. You’d think that this many iterations would be enough to sand down any rough edges. I blame the running boom of the last six years for it. Perhaps the organizers had gotten used to a few hundred runners and didn’t have the logistical know-how or manpower to put together an 8,000-person event. So you’d think that I’d be a little apprehensive about running another race in San José. But you’d be wrong. 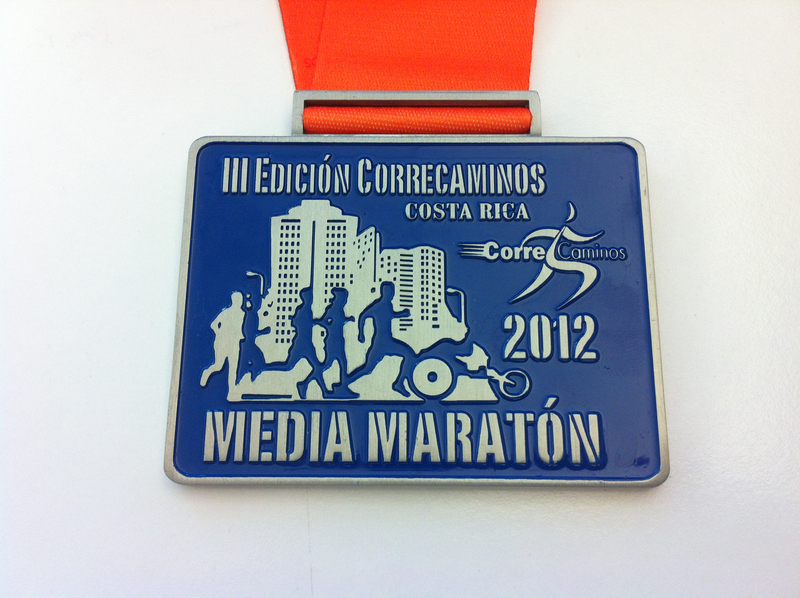 I had heard from fellow runners that there was another large, albeit younger race called the Media Maratón Correcaminos, and that it was a much, much better event. It was also happening the same weekend as my first trip to Costa Rica with the future in-laws, a fortuitous convergence that I insist was completely coincidental. No, really, as impossible as it is to believe, I did not plan the trip around the race. It just, magically happened that way (por pura guava). 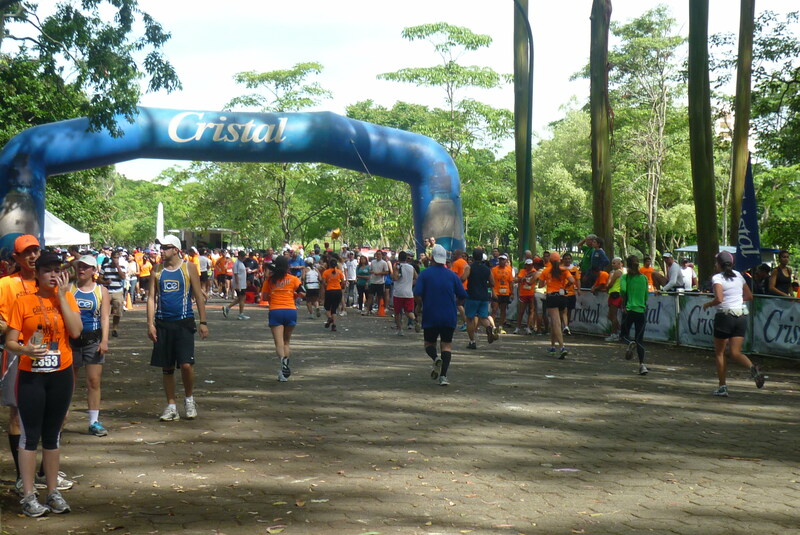 Later in the spring, I would start putting together my summer race schedule, and this half marathon in Costa Rica became the first of several races that would constitute my Summer Altitude Challenge. At roughly 4,000 feet, it would be the first stepping stone towards much higher elevations. But first, I had the chance to drive Steph’s sister and parents around Costa Rica for the first time. 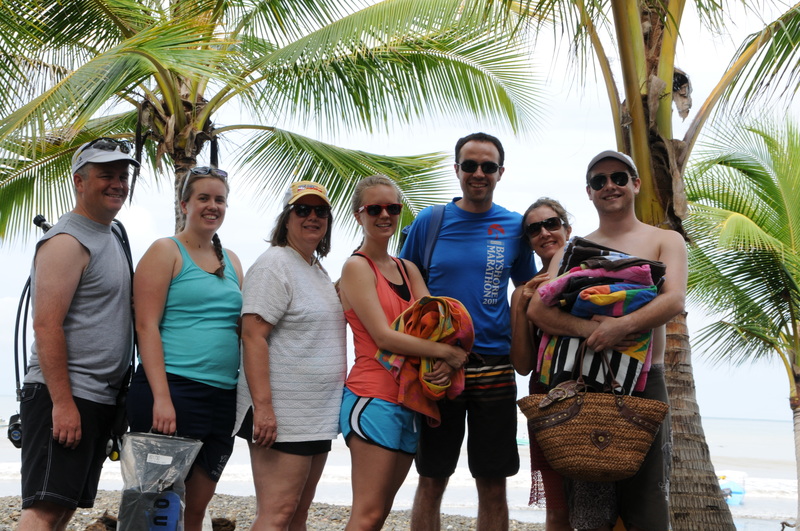 Through both careful planning and a nice dose of luck, they got what I would consider a genuine Costa Rican experience. They got to scuba dive with hundreds of tropical fish, behold the vast canyons of the Poás volcano, walk underneath and alongside the Paz Waterfalls and eat a wide array of foods, which included ceviche, gallo pinto, granizados, pejibayes, patacones, cajetas, bizcochos, picadillo de chayote, and chicarrones. But in addition to the sights and foods, they also got rolling blackouts, torrential downpour, cattle in the middle of the street and gridlock traffic in Barrio México. You give and you take. While Steph attended a bridal shower that my mom had punctiliously organized Saturday afternoon, I went to the Hotel Tryp Sabana with Steve for the Correcaminos Expo. Though not very big (the whole thing was two small salons with a hallway uniting them), it was a very impressive operation. Upon entering the expo, I was greeted by a friendly volunteer who told me where to go for everything. Bibs and chips were picked up quickly, shirts were distributed easily and efficiently, and the vendors were eager to help. I could tell that the people who were putting this thing together understood the race experience and wanted to deliver a top-notch event. After nabbing a few freebies, we made our way back home, where we would end up being two of about four men in a room full of semi-inebriated women. The Start Line. You wouldn’t guess it were it not for the throngs of orange. I was up at 4 and went to wake up my brother, Nicky. It’s not the easiest thing to do, but he rallied himself up and kindly drove Steve and me to our respective starting lines. Since I was running the half marathon, I would start all the way up un Tres Ríos, where it was cool and breezy. 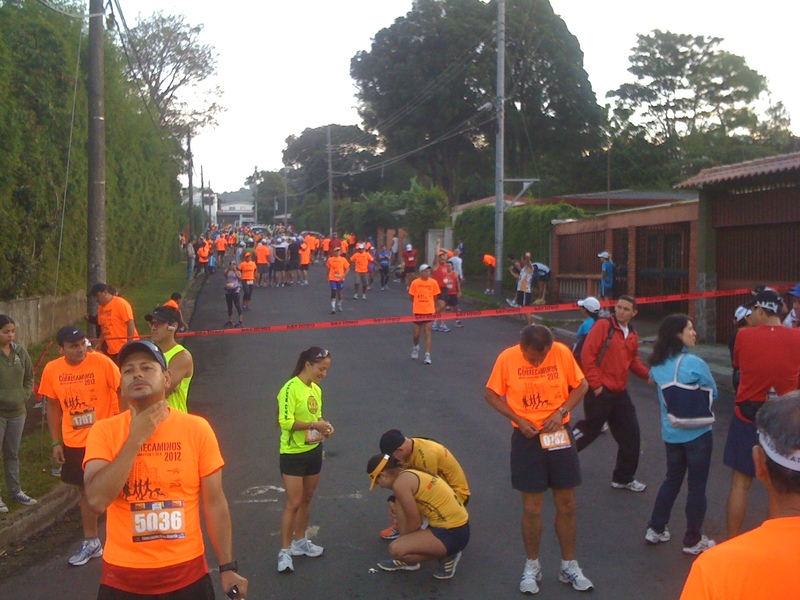 Steve would start the 10k in Zapote, near el Colegio de Abogados. I arrived an hour before the start and found about twenty people littered across an empty street. The only sign that I was in the right place were the runners wearing the official, blinding orange race shirts. It wasn’t until about thirty minutes before the event was to start that they finished installing the timing mats and inflated the start banner. I must admit that I was pleasantly surprised when the event started on time – though that didn’t stop the field from whistling jokingly (chiflar) when 6:30 arrived. The first mile was the most dangerous. In most races, you have to deal with little personal space as you navigate your way forward and find your pace. However, in this race you also had to deal with potholes and jagged sidewalks. Once past the first mile, clocked at just under 8 minutes, the field was spread far enough that I no longer had to worry about rolling an ankle or drawing blood. 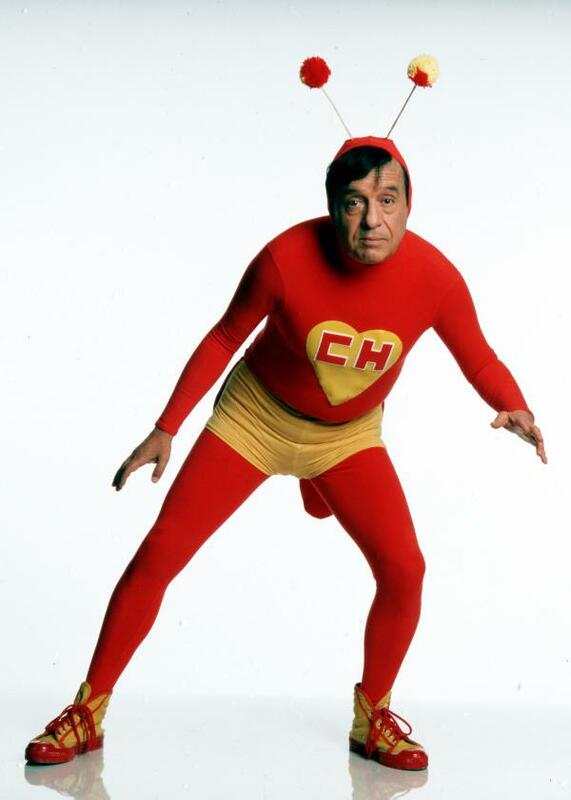 The next three miles were a delightful downhill through Pinares and eventually Curridabat, where I passed many runners, including one dressed up as el Chapulín Colorado. I was paying close attention to my breathing at this point, noting how much the altitude was affecting my perceived exertion. The downhill was throwing it all off, because I knocked out those miles at a sub-7:00 pace. I knew that once the course would flatten out, I’d slow down considerably. Would it have been smarter to reel it in earlier and deliberately slow myself down despite the inviting downward slope? Maybe. But running fast is too much fun to pass up. Dele, dele! As I slammed on the gas, I kept looking around me and seeing hundreds of runners with “Costa Rica” on their racing singlets, or “Ticos” emblazoned elsewhere on their running gear. It’s pretty rare to see a Costa Rican anywhere outside of Costa Rica, so I subconsciously wanted to go up to everyone and represent (Vamos Ticos!) like I usually do at any other race when I see la tricolor. 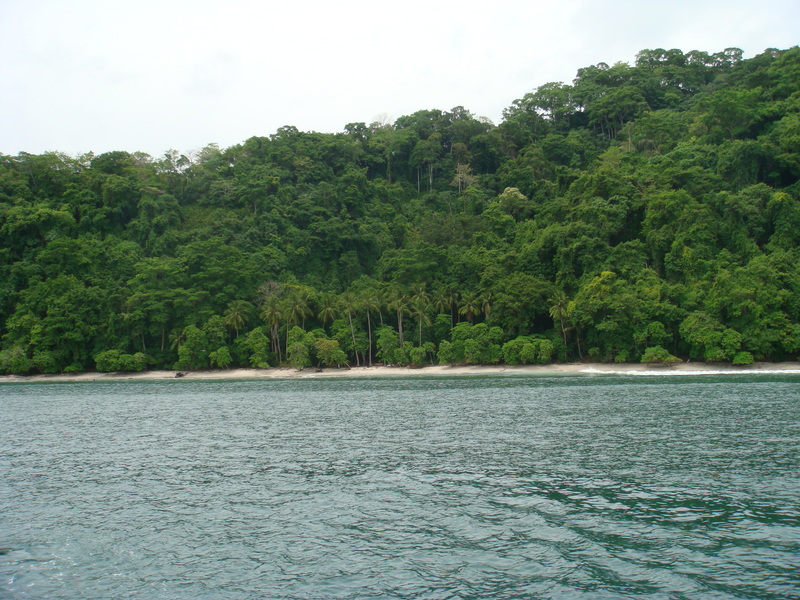 Except here, pretty much everyone was Costa Rican. It was a warm moment of communion when I figured that every other Costa Rican runner I’ve seen in a US race, be it Chicago, Miami or New York City, might be running today, here, with me. The course flattened shortly after that and my pace slowed down to a more sustainable speed. I passed the second aid station and grabbed a plastic water-filled pouch (boli) and a Gatorade. Curridabat is much denser than Tres Ríos, so it wasn’t until this point that I realized that the city did not stop for the race. Though there weren’t cars in the middle of the course, there were definitely people blaring on their horns (infelices), hoping to cross the stream of runners blocking their path. I waved to them and smiled at their futility, which didn’t help the horn situation. A few strides later, I reached the first uphill at the Mitsubishi dealership in Curri. After running spritely fast for 4 miles, it was the first real test of the race. Prior to this ascent, I felt like I was killing it on a flat course, hungry for a PR. But at the top of this hill I was reminded that, downhill or not, this wouldn’t be an easy race. 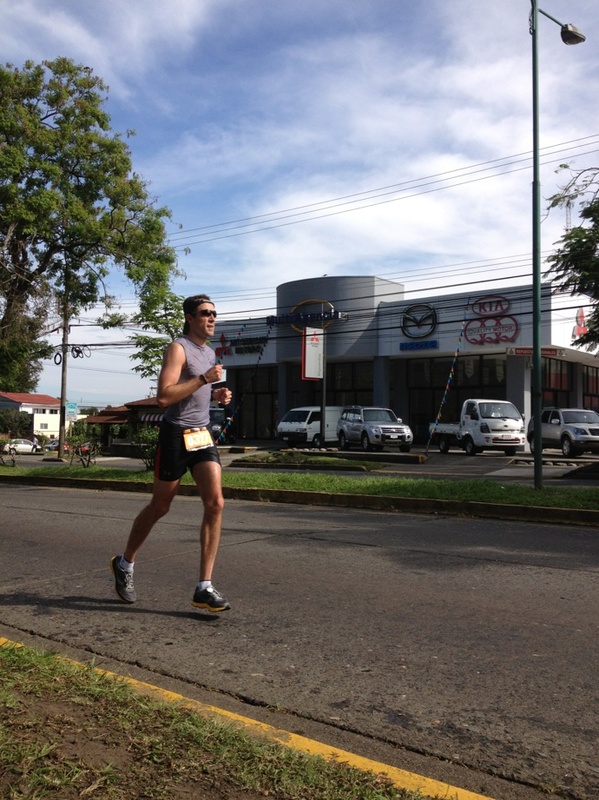 Shortly afterward, the course leaves the main road and towards Zapote through dense neighborhoods on lumpy asphalt. I remember passing where the KyS Microbrewery used to be, which brought back fond memories. Once back on a main road, the race continues its downhill grade past Multi Plaza del Este and el Registro Público. This stretch of race had very little shade, so it was the beginning of what I would call “the breakdown.” Between miles 7.4 and 8.7 we’d be running mostly uphill, past la avenida central and el parque nacional. That last part was the toughest and most humbling. I could feel the lactic acid building up in my quads and calves as I ran up that cobblestone path, watching as more experienced runners climbed it with little complaint. But once around the park, we got back to flat lands. 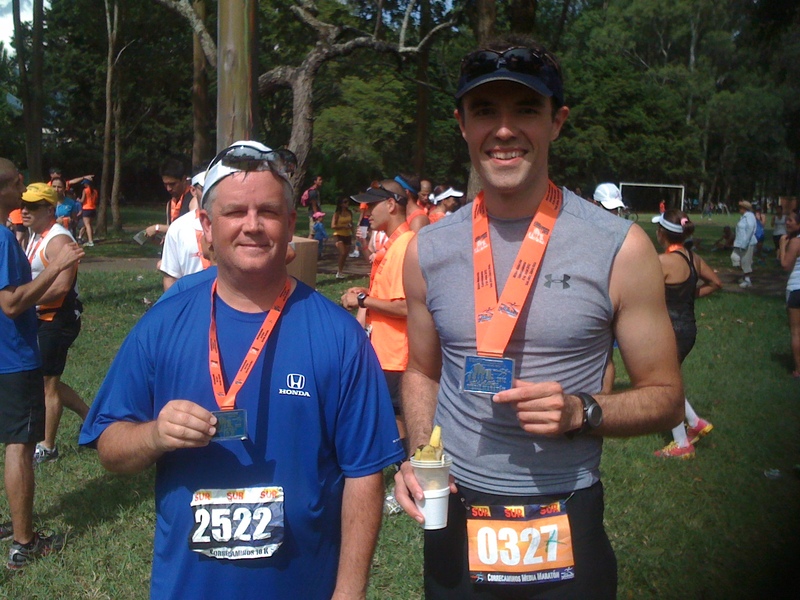 I remember thinking at this point that the 10k wasn’t as downhill as I had promised Steve. Oops (mal rai, sorri mop). My mile splits at this point were floundering in the 8s. I wasn’t dying quite yet, but there would be no more fast splits. We spent about a mile on la avenida primera, which was mostly downhill and the least scenic part of the race. There were bars open with patrons inside and cars eager to cross each new intersection. Fortunately, they weren’t running us over out of sheer courtesy as not every intersection was manned by volunteers. It was also at this point that the 10k leaders shot past me at high speeds. Shortly after, we zigzagged onto el Paseo Colón, the verdant greens of La Sabana in the distance. There were many spectators lining the streets now, all shouting encouragingly. Every time I would stop to drink water, I’d hear from spectators and runners alike, Dale, dale, ya casi! I don’t know if it’s a bias, but I felt a lot more solidarity from everyone plodding around me than at other races. These cries got much louder as I reached the large urban park with both sides of the road firing emphatic shouts of Pongale! Very true. In your head, you think, “Simple. Just one loop around la Sabana and I’m home free.” But its perimeter is about 2.2 miles at the end of a half marathon. While it may be flat, my legs were beat. I was at that point in the race where you struggle just to keep your head up. As I passed el ICE, I heard someone yell Vamos Danny! and turned to see my cousin Mau curled under a tree. Though I looked confident in the picture he took of me, I was actually feeling pathetic and quite done (hecho leña). But there was just one more corner to turn before entering the park and its thick tree cover. Once inside, it was impossible to keep the same pace amid the roar of crowds and the peripheral flash of green. Walls of spectators lined the course leading into the finish line, making me forget for thirty seconds that I was exhausted. I kicked forward and gazelle’d my way toward the blue banner at a 5:40 pace, crossing the finish line in 1:40:57 and heaving my way to refreshment. I threw down some water and went back to the finish chute to see if I could spot my friends, some of whom had never run a 10k before. One by one I yelled at them as they made that final turn into the park. A few, like Chori, smirked and kept their regular pace, finishing effortlessly, almost insouciantly. Others, like Gabriel (who was probably roasting alive in a Real Madrid jersey), kicked into overdrive and scorched across the finish line. My shouts caught the attention of one of my high school classmates, Chepe, who was just a few people down the barricades. He was the only person in my class who was taller than me, and at 6’7”, by a considerable amount. Though he was there to see his girlfriend finish, he was gracious enough to stay and get a shot of Steve as he crossed the finish line. I really liked this race. It was the experience I was hoping to have with the disastrous Marathon Internacional and even pleased Steve, who has been running for much longer than me. The Expo was fluid and easy to navigate, it started on time, each kilometer was marked with a visible sign, aid stations were staffed with eager volunteers and the post-race finish area was flush with ebullient (and sweaty) runners. As a pleasing garnish, we were able to drive out of the event without encountering any traffic. We spent the rest of the day at la finca in La Garita, where the Snyders got to meet every single person in my extended family. All in all, both the trip and the race were complete successes. I would change nothing about the vacation, except perhaps extending it by a month. But bigger challenges await in that month, so I’m back to training, hoping that I can strengthen my legs enough for the altitude double in just under ten days. Vamos! So, the whole time I was reading this, I’m thinking wow, he learned a lot of Spanish on his trip to Costa Rica. He has a way better memory than I would for such things. And then I learned that you are in fact Costa Rican. So I don’t know if I’m more or less impressed, but either way, I know more Spanish. 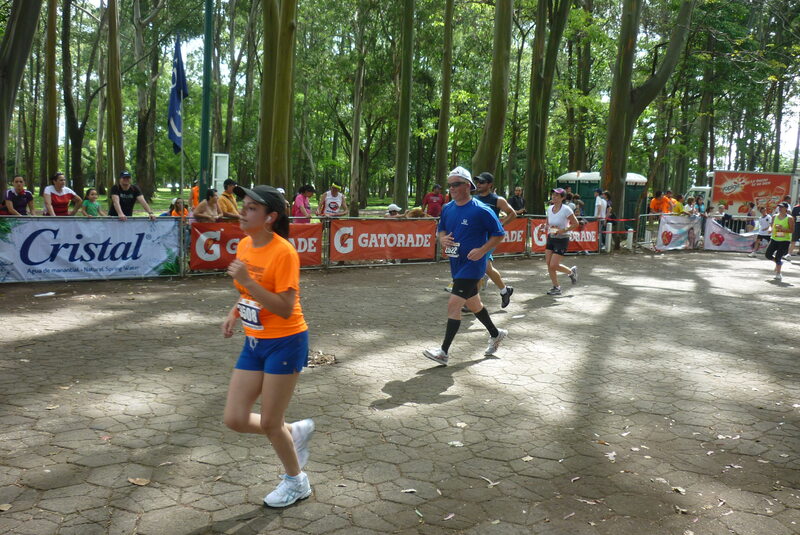 My wife and I flew there and ran the medio maraton with my brother in law. Not with your same speed, but we finished. Newbies. We were surprised at the end that they had no medals. Apparently someone had stolen medals for the half marathon. That’s too bad. It was my wife’s second half and it’s important for new people to get those. Aside from that i agree, a good marathon!! Okay, that’s a pretty awesome race medal! This was so exciting to read. I’m also Costa Rican and feel the same way anytime I see the flag in the US! I hope to run my first half marathon at the Dec 2013 race in San Jose. I am taking my husband and two year old son to meet all my aunts, uncles, and cousins. I was disappointed that you said it was so chaotic. I know how things are in Costa Rica so I guess I need to adjust my expectations of the race, as well. Feel free to send any tips my way.